I know, I know, St. Patrick's Day was Monday. It has been a BUSY week with soccer, piano, dance, the school talent show, and the release of Frozen - Yes, I spent Tues night on the couch with my girls watching Frozen, again. Hopefully you can use some of these ideas next year. 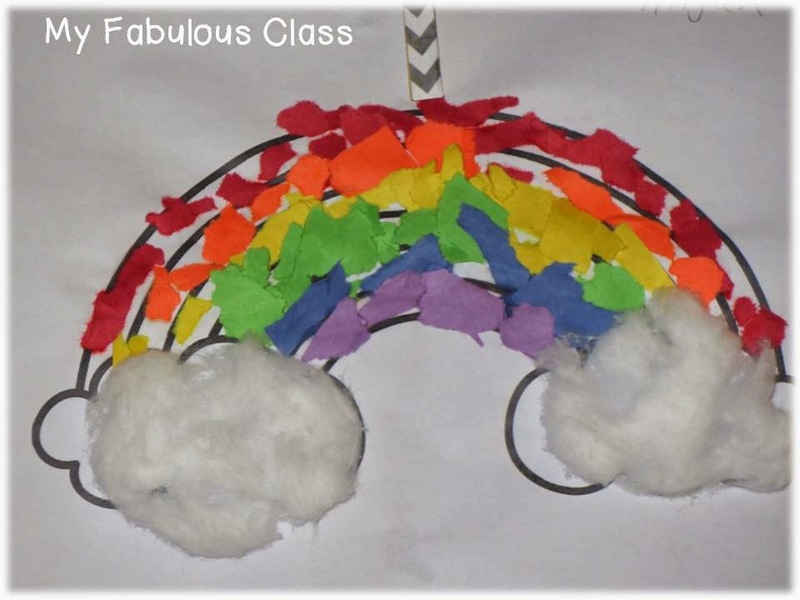 First, we made these adorable rainbows. They tore the paper to fill it in. We worked on these for two days and some of my friends still didn't finish. They used cotton for the clouds. Remember when I spray painted the letters and numbers? You can find that post HERE. 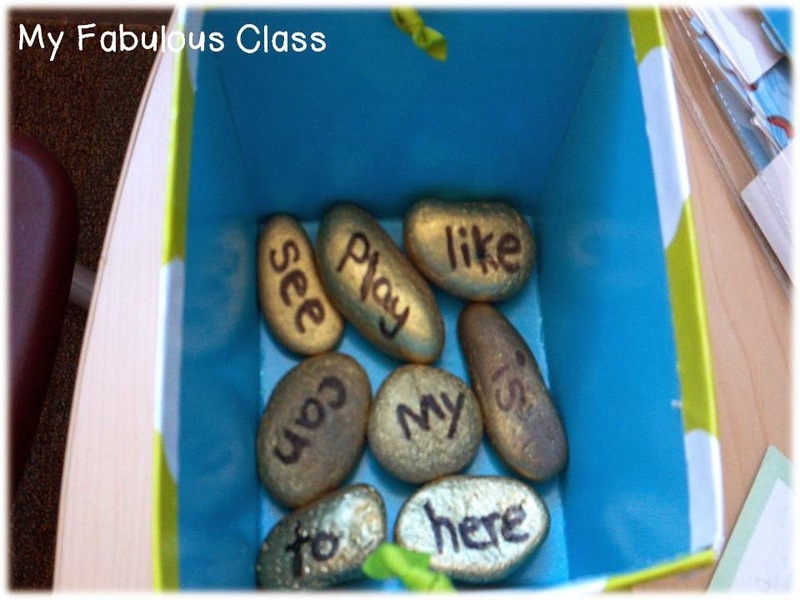 That day, I spray painted rocks from my yard and wrote down sight words. 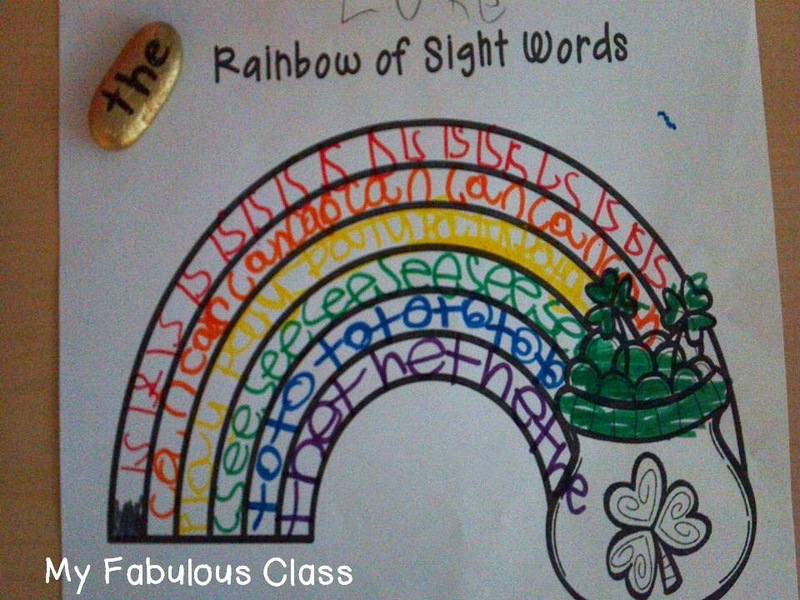 Students pulled a piece of "gold" from the bucket and rainbow wrote the words. I got this idea from Danielle Kroger HERE. Check it out. She has some great freebies. 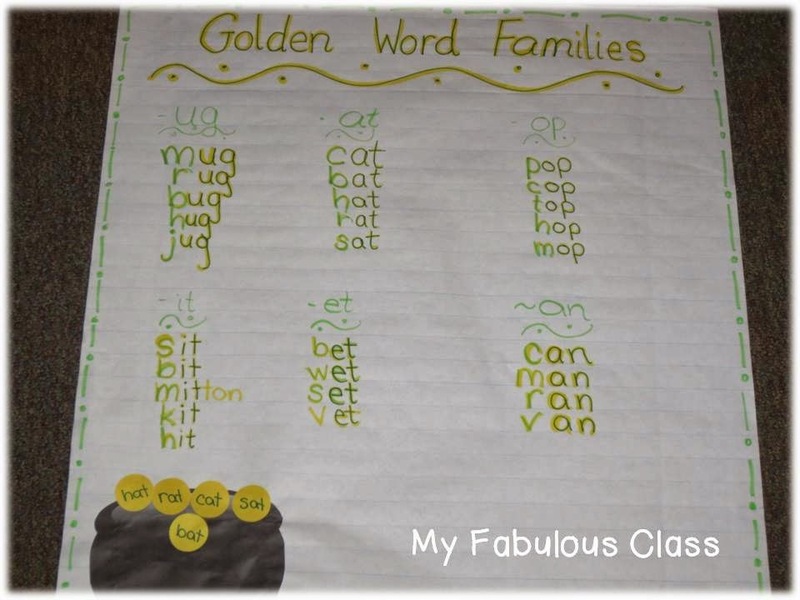 We made Golden Word Families. We made a list of all the word families we have made. Then, we picked one family to write on our golden coins. 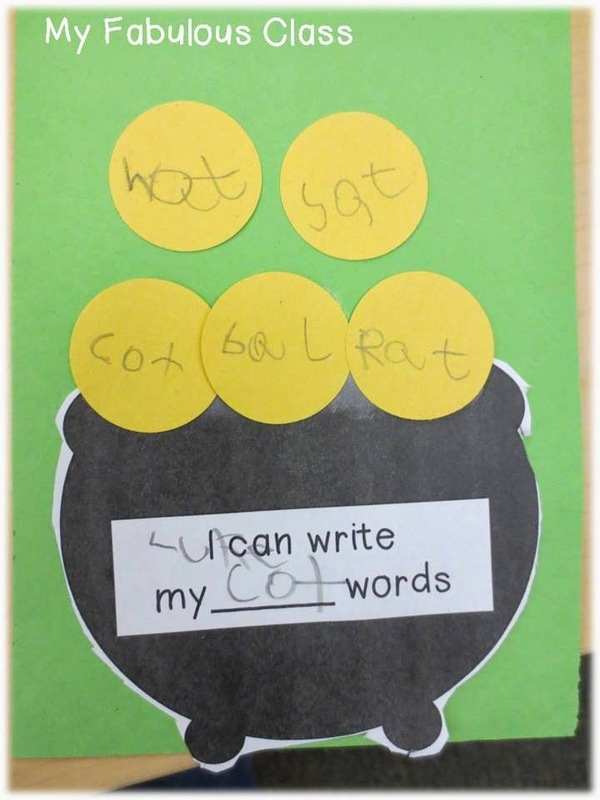 To differentiate, I let some kids write one letter per gold, while others wrote the entire word on a piece of gold. 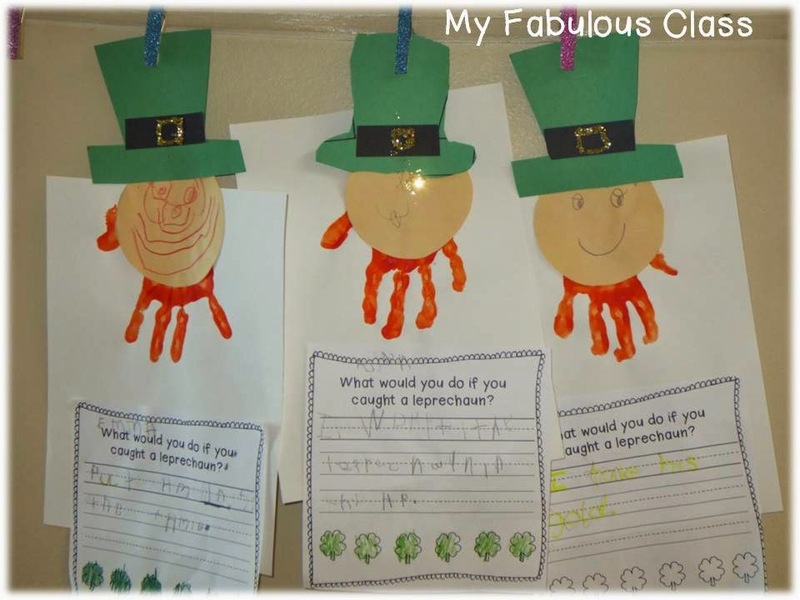 We wrote about what we would do if we caught a leprechaun. Then we used our hand prints to make the leprechaun. Next time, I will make the circle faces smaller. You can see how I differentiated by writing one student's sentence with a highlighter, then had him trace it. 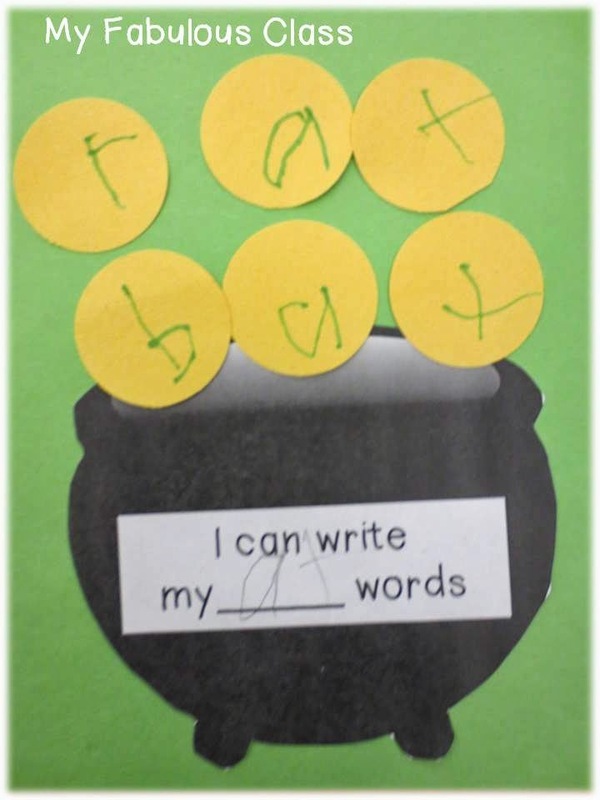 He came up with the sentence, but because writing causes him so much frustration, I wanted him to be successful. It is all about the little things. The amazing teacher across the hall made these little guys. She just made her own template based on a picture she saw on pinterest. 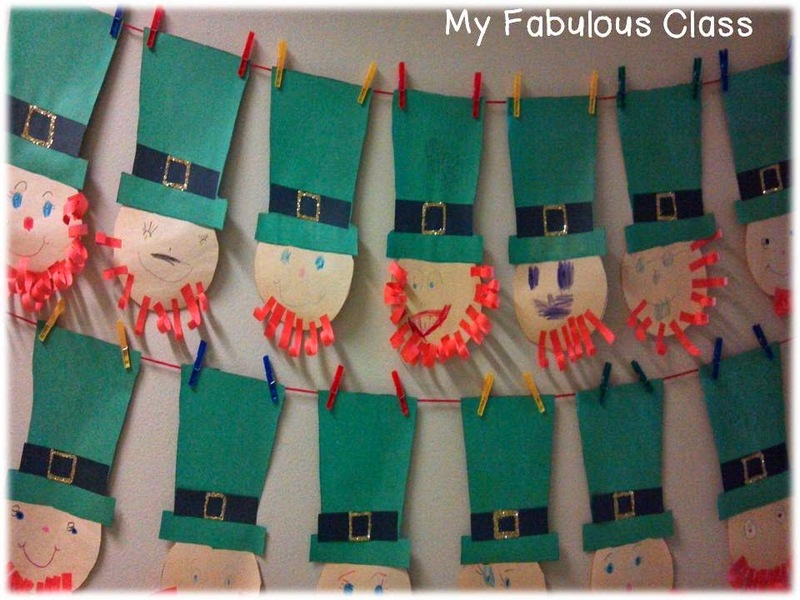 I just saw a similar post on First Grade Parade.You can download her template free. 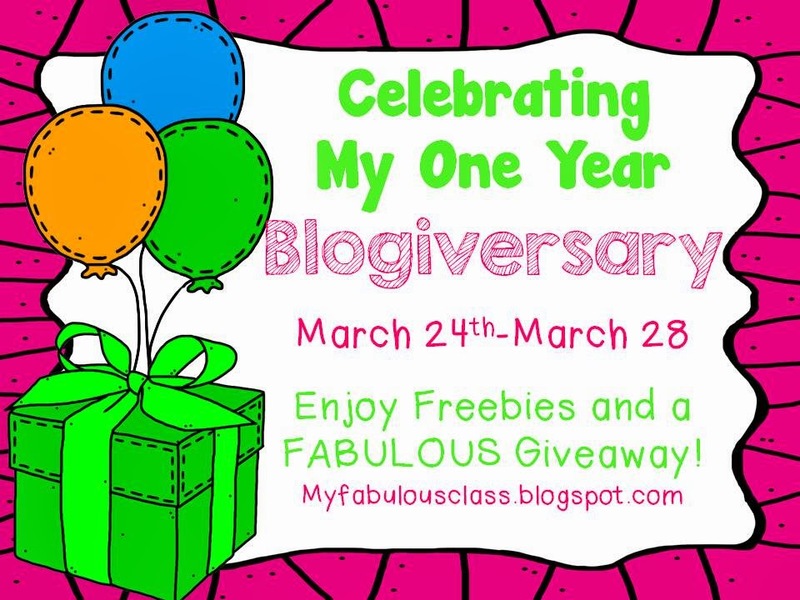 Next week, I will be celebrating my one year blogiversary!!!! I will be celebrating with a GIVEAWAY and some FREEBIES. Be sure to check it out! Such cute activities! Congratulations on your 1 year blogiversary! 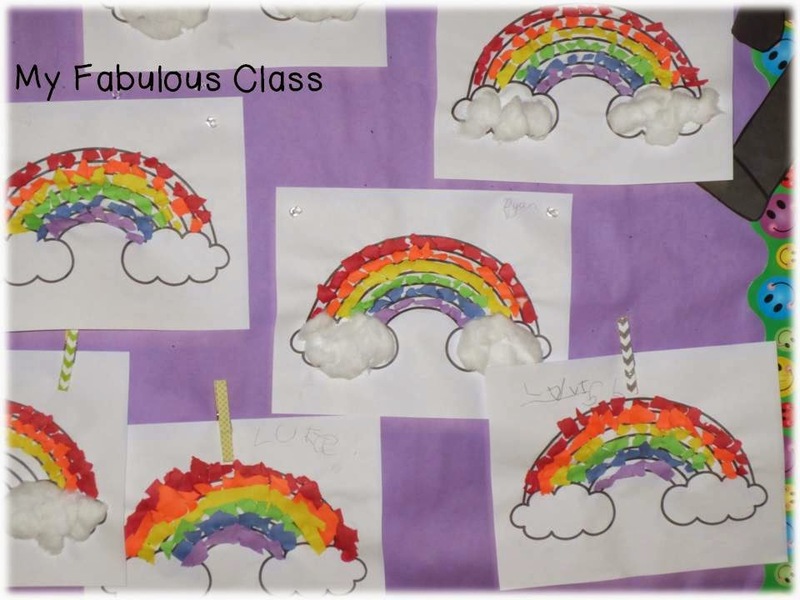 Love, love, love your rainbows! Rainbows always make me smile :) Congratulations on 1 year! !